649 Michigan Ave A rare find located on the Lakeshore Historic District, this home was built in 1998 and features four floors of living space. Designed for todayâ&#x20AC;&#x2122;s lifestyle, the open floor plan is perfect for family gatherings as well as entertaining. While the rooms flow together, there is plenty of private space for everyone. The year round sunroom has radiant heated floors and opens onto the screened in front porch. The cozy library has a stained glass window. In addition to the open kitchen family room, the first floor has a media room. Conveniently located laundry room is on the second floor. 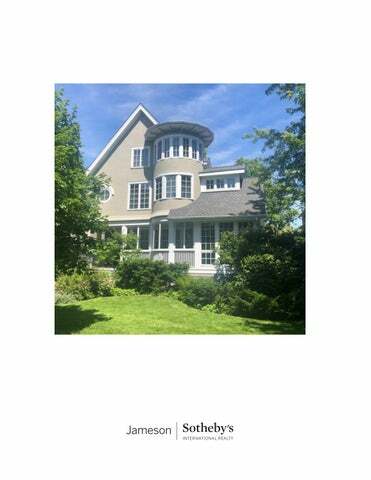 Be wowed by the high ceiling 3rd level exercise room, sauna, full bath and turret bedroom. The finished basement has a recreation room, separate craft area, full bath, and a sound proof music room. Loads of storage everywhere. Check out the floor plan. Conveniently located near beaches, trains, & parks. 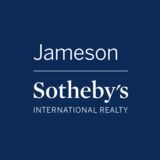 847.733.2821 dale@jamesonsir.com jamesonsir.com SOTHEBY’S INTERNATIONAL REALTY AND THE SOTHEBY’S INTERNATIONAL REALTY LOGO ARE REGISTERED (OR UNREGISTERED) SERVICE MARKS USED WITH PERMISSION. SOTHEBY’S INTERNATIONAL REALTY AFFILIATES LLC FULLY SUPPORTS THE PRINCIPLES OF THE FAIR HOUSING ACT AND THE EQUAL OPPORTUNITY ACT.EACH OFFICE IS INDEPENDENTLY OWNED AND OPERATED. IF YOUR PROPERTY IS LISTED WITH A REAL ESTATE BROKER, PLEASE DISREGARD. IT IS NOT OUR INTENTION TO SOLICIT THE OFFERINGS OF OTHER REAL ESTATE BROKERS. WE ARE HAPPY TO WORK WITH THEM AND COOPERATE FULLY. ALTHOUGH INFORMATION, INCLUDING MEASUREMENTS, HAS BEEN OBTAINED FROM SOURCES DEEMED RELIABLE, ACCURACY IS NOT GUARANTEED.